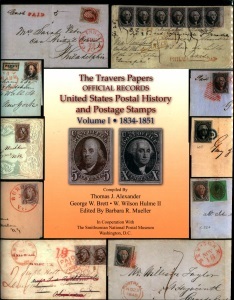 The National Postal Museum’s Travers Papers is a collection of more than 4,000 pages making available to historians and collectors official documents relating to the production of U.S. postage stamps from 1847 to 1910. The NPM and the U.S. Philatelic Classics Society have collaborated to make this valuable collection available online to collectors around the world. Access the collection via the USPCS website, or read more about it in the NPM’s finding guide.